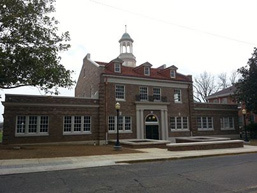 Ingram Plastering and Company, Inc is listed on several Mississippi county historical society listing for plaster restoration. Preserving the art and trade of plastering takes skilled professionalism. Completing many restoration project from the 19th and 20th century . Ingram Plastering and company, Inc has the experience you can trust. Jackson, Madison, Clinton, Brandon, Pearl, Forrest, Hattiesburg, Oxford, Byram, Vicksburg, Gulfport, Meridian and Brookhaven, Mississippi.